It will be a wardrobe staple when they are older, so you might as well start them early with this Levi’s classic denim jacket for kids. 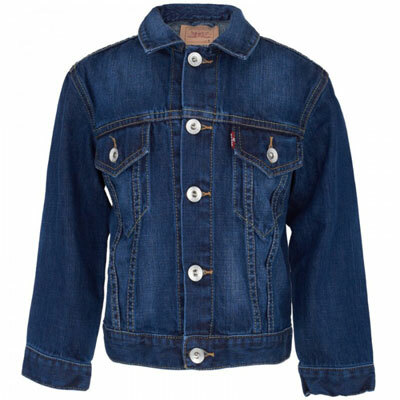 A classic jean jacket, but in miniature form for children, but still complete with button front, yellow stitching, button cuffs, front pockets and a red tag. It has what’s described as a mid wash and is available for ages four to 16. The price is £47.